Come Celebrate Ashland’s Downtown with us! 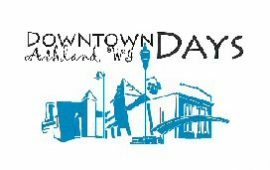 Downtown Merchants Sidewalk sales, food & craft vendors, music, Car Show and a lot more. Food Vendors, Northern State Bank Regional Hospice Rummage Sale Fundraiser. Classic Car Show, starting at 9am.